Big food and drink brands have been forced to defend themselves against charges made by Channel 4's Dispatches documentary that they target children through social media and 'advergames'. Tricks of the Junk Food Business, which aired yesterday (2 June), attempted to illustrate how brands and digital agencies get around the strict broadcasting rules on advertising unhealthy food and drink to children by using social and online games. 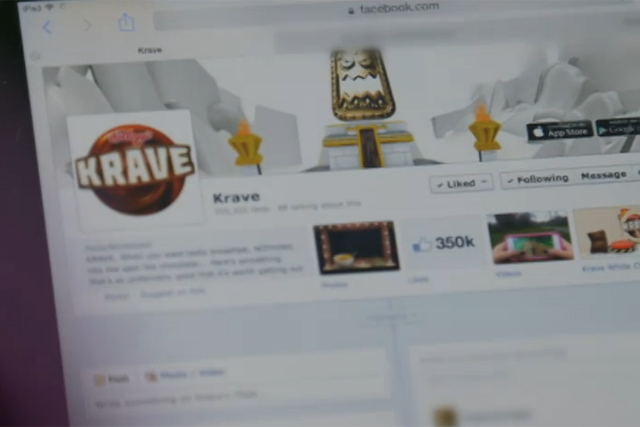 Krave, the sugary Kellogg cereal, was caught out promoting its products to a fictional 11-year-old on Facebook. Meanwhile, Chewits’ Facebook interactions and its practice of placing animated ads online, which would be barred from children’s programmes on TV, came under scrutiny. Both Kellogg and Cloetta, the company behind Chewits, were unavailable for comment at the time of publishing. Kellogg told Dispatches that it had since reviewed its policies. A game created by Coca-Cola featuring a McDonald’s store, called Crab & Penguins, came in for criticism. In response, a McDonald’s spokesman said: "The Crabs and Penguins app was designed by Coca-Cola for teenagers aged 13 years or older. "At McDonald’s we have strict marketing principles in relation to children which include the EU Pledge, and in conformity with our principles, there were no McDonald’s products visible in the app." McDonald’s added that the 4+ age rating was assigned by Apple rather than the developers or Coca-Cola. This was also the defence provided by Mondelez, whose games for brands such as Oreo and Cadbury Dairy Milk, were in the show. "The fact that Apple put a 4+ level against the game merely indicated they felt it did not contain any objectionable material - not that it was aimed at this particular audience," said a Mondelez spokesman. He added that Apple’s App store contract states that a person must be at least 13 to hold an account. Little-known digital agencies Koko Digital and Sunchaser were also caught out in a sting carried out by the programme-makers. The agencies were asked for their ideas on promoting a fictional unhealthy drink, Orange Beast, through gaming. Koko Digital said its games were always clearly identifiable as branded content, while Sunchaser said initial discussions had not met its ethical standards but that it later raised concerns.